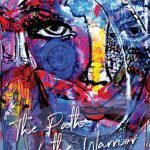 The Path of the Warrior is a journal for all Warrior Women inspired by the original artworks of contemporary expressionist artist, Holly Eva who is known for her intuitive Warrior Woman paintings. 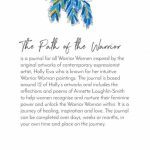 The journal is based around 12 of Holly’s artworks and includes the reflections and poems of Annette Loughlin-Smith to help women recognise and nurture their feminine power and unlock the Warrior Woman within. It is a journey of healing, inspiration and love. The journal can be completed over days, weeks or months, in your own time and place on the journey. 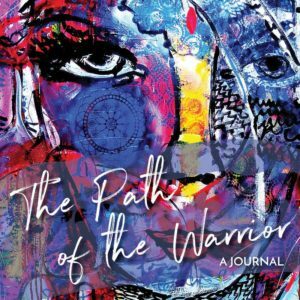 Free Warrior Woman art tutorial and meditations when you purchase the journal. 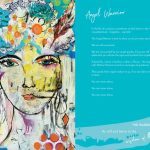 This journal uses a range of creative tools including journal writing, painting, drawing, meditation and visualisation to help you to get in touch with your intuition and unlock your imagination. 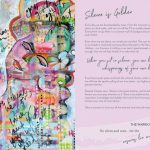 Through stillness, reflection and expression you will be guided on a journey of self-awareness, mindfulness, gratitude and healing. 80 pages. Soft Cover. Copyright 2017. Holly Eva and Annette Loughlin-Smith. All rights reserved. The activities and suggestions in this book are not intended as professional or medical advice. 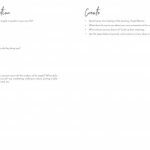 If the reader or other per­son has a med­ical con­cern, he or she should con­sult with an appropriately-licensed physi­cian or health care worker prior to completing these activities. 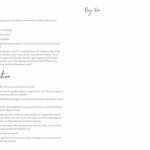 No part of this book may be reproduced in any form or by any means, electronic or mechanical, including photocopying, recording or otherwise, without the prior written permission from the publishers.